Who doesn't know what a Swiss Army Knife is? It's as iconic as a can of Campbell's soup. Almost everyone I know owns one and can't leave the house without it (myself included). It's like a security blanket given how dependable, versatile and durable it is...(from opening wine bottles to minor repairs and taking stray food out from in between your teeth, the little gizmo is capable of doing almost anything :P). It's no wonder Victorinox is considered a national treasure in Switzerland. 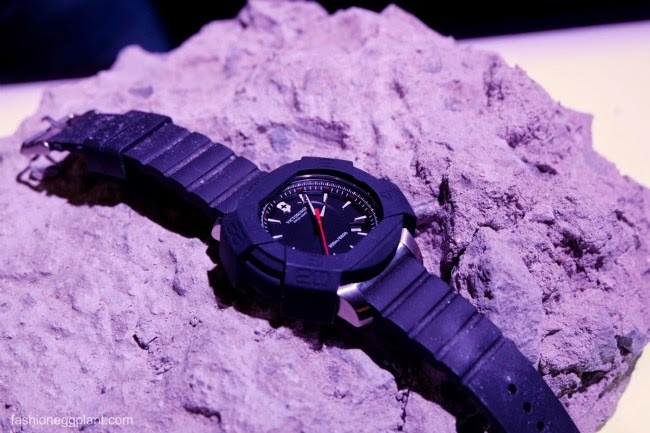 A few days ago at WhiteSpace, Victorinox did it again with the release of a watch that is tough as nails and designed to be your daily companion in life wether you are a deep sea diver, bomb specialist (and I wouldn't be surprised if it couldn't even withstand the conditions in outer space) :P.
Presenting the I.N.O.X. watch by Victorinox! Being known for producing the best watches in the world, all Swiss watches undergo 80 standard certification tests but 80 wasn't enough for the I.N.O.X. team who wanted to translate the Swiss Army Knife into a Swiss Army Watch that can boast the same steadfastness and resilience. The result was putting this new watch under 130 strength tests. Way beyond the required 80 so naturally, some were just plain insane! salt spray corrosion and other chemical attacks by all sorts of fuels (gasoline, insecticides, solvents, sulfuric and nitric acid solution, cleaning products, etc. And many many more equally crazy and challenging scenarios. I mean seriously, who encounters those conditions in everyday life. I can only think of James Bond! But seriously, the INOX had to go through all these to deserve the title of being the toughest watch in the world. After all, the INOX is not just tough, it's pretty as well and will go with most of your outfits wether you're a boy or a girl, going to the office or engaging in a sport of your choice. Currently available in 3 colors: Black, Khaki Green and Navy Blue, each watch comes with a stylish bumper that you can attach as added protection for more rugged activities. (Not that it needs it. The INOX performed all of the strength tests WITHOUT this bumper). 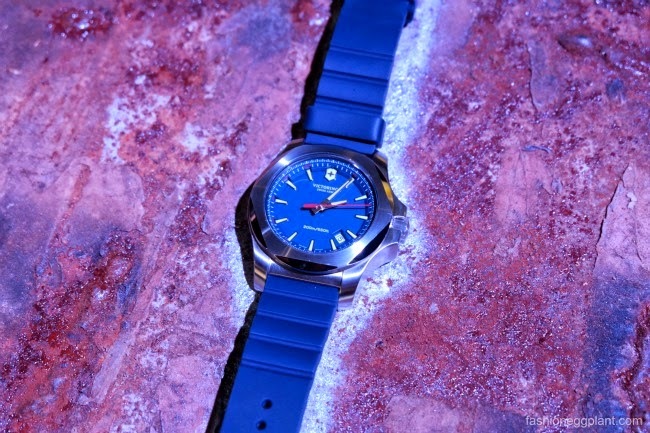 The Victorinox INOX watch is now available for only P26,000*.